Indranil joined MEO in July 2015 as Head of Group HSQE. Subsequently he moved into the role of COO to manage the fleet operation. 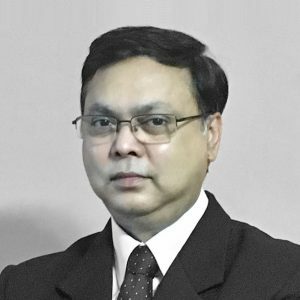 He has 30 years of experience in various roles in the maritime industry which includes Chief Engineer on board merchant vessels, ship design and rule development in class and IACS, new ship building, systems lead auditor, operations management of offshore vessels with Greatship and Jaya Holdings. Indranil is Class 1 Foreign Going Marine Engineer, Post Graduate in Mechanical Engineering (Design) and Business Administration. He is a Chartered Engineer.